something yummy'. I myself wouldn't mind holding a little get together. Some cake munching and tea drinking (hot chocolate is much better in my book) to raise a few pennies. 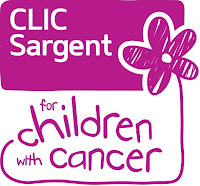 Nickie over at Typecast is holding blog prompts and link ups for this wonderful charity. These prompts from Nickie will be run throughout February and everyone is welcome to take part by linking up and helping to promote this good cause. Yummy Mummy Week runs form 10th-18th March. Click here to find out more and to get a fundraising pack of your own. For week 1 we were set this prompt: 'What your Children mean to you'. In a dark room surrounded by the things that are never supposed to matter, lies a woman in the middle of a bed staring into nothingness.. There is a man perched cautiously on the edge, tears silently rolling from his eyes, hands clasped tight, shaking in silence. It is night time. Outside is black but inside feels darker. The whole world is the darkest place right now. The woman rises to sit beside her husband, resting a weak, pale hand on top of his. Both husband and wife slowly turn to face each other. For one moment they let the darkness take over them. The door to their room slowly opens allowing light to filter in. Swiftly the tears are wiped, though it is clear to see them on the surface threatening to spill out. At the door way, clutching a small, ragged teddy bear stands a wide eyed little girl with a beautiful smile on her face. The woman stretches out her arms welcoming the warmth of her precious little daughter.
' Was it sad Mummy?' She asks, sweetly. The woman looks to her husband as he touches the fine strands of light blond hair on his daughters head. The little girl smiles knowingly widening her big, blue eyes. I have never been in this situation and I pray that I never will be. Especially with my children. But through charities like this children really do have a chance, they really won't be going anywhere. 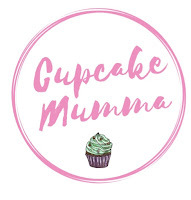 Please link up or spread the word about Yummy Mummy Week and CLIC Sergant and don't forget to link any posts up over at Typecast! Gorgeous piece of creative writing. I love it! Thanks Nickie I was worried about it! Just getting round to reading all the other #dosomethingyummy posts before this weeks all go live. Wonderfully written, I did have a big lump in my throat reading this. I can't bear ever to let my mind go there, I can imagine writing this must have been emotional. Thank you so much Julie-Ann for reading i'm glad you liked it as i was worried about it. It wasn't easy to write, but in terms of making sure it was right, and had the right 'feel' to it. Without it sounding horrible, Im glad it provoked that feeling, as i also felt as you said, emotional.